Gosh! We didn't know Rajamouli had a son old enough to marry! Bahubali Director S S Rajamouli's son Karthikeya wed to his long time girlfriend, singer Pooja Prasad, in Jaipur on Sunday, December 30. 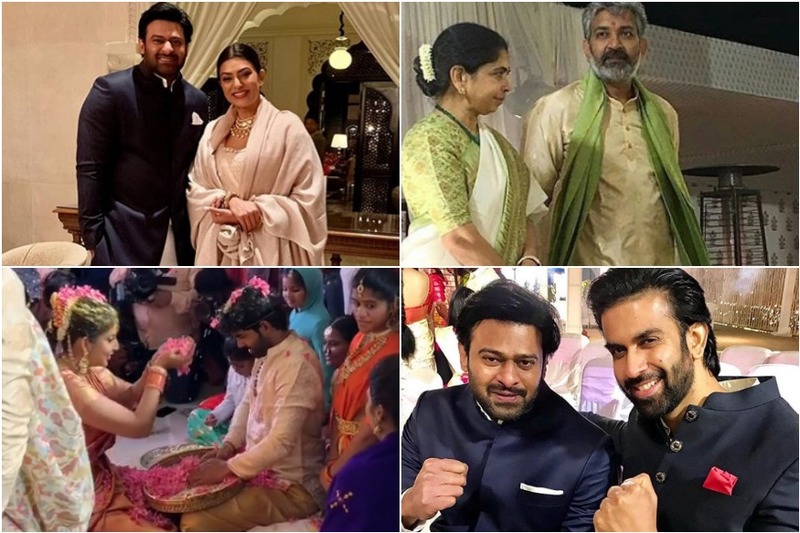 The entire Baahubali team including Prabhas, Rana Daggubati and Anushka Shetty were present at the wedding and pre-wedding celebrations on December 29. S S Rajamouli, Ram Charan Teja and his wife Upasana Kamineni Konidela with the newly weds, Karthikeya and Pooja Prasad, whose uncle is the Telugu actor Jagapati Babu and late grandfather, film-maker V B Rajendra Prasad. Ram Charan and NTR Jr will be seen in Rajamouli's next film.